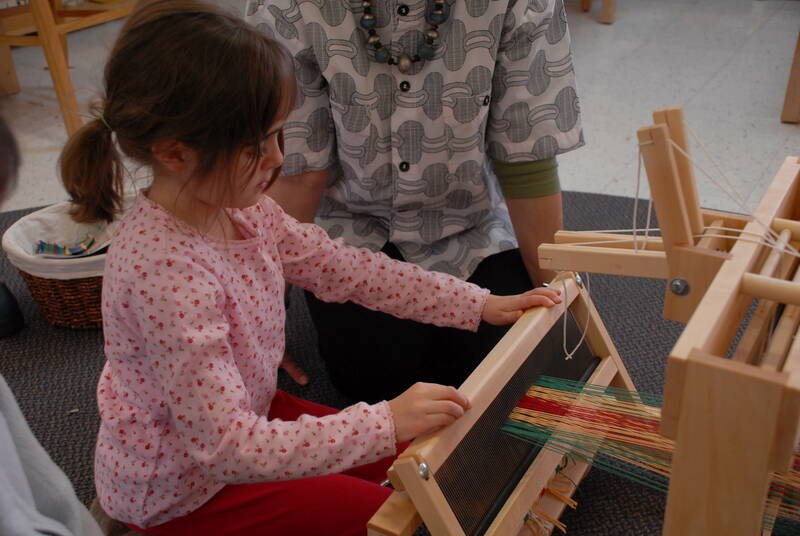 Children love weaving! 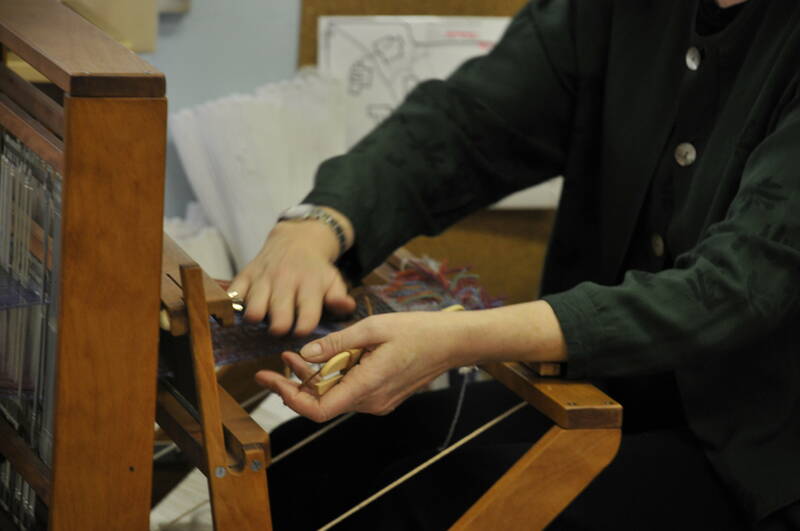 Weaving projects also support many skills including basic art and design concepts, measuring, manual dexterity, and interplay of color, texture and pattern. 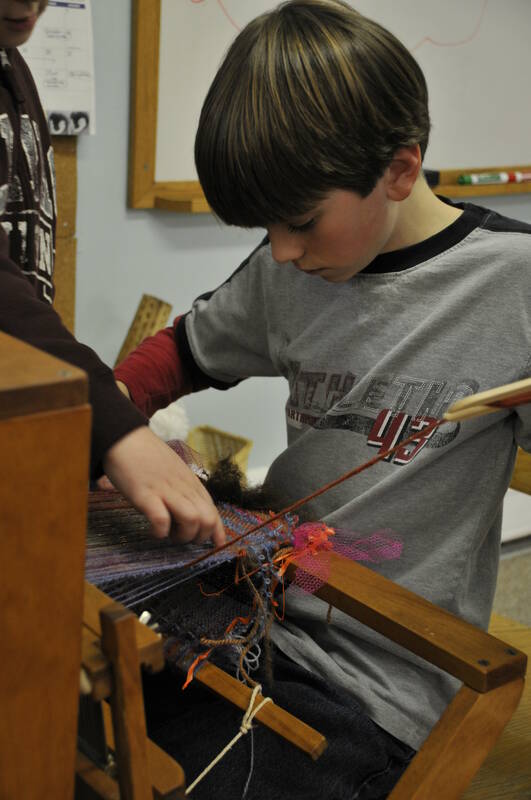 Weaving projects can be built around a multitude of grade-specific curricular guidelines including art, history, social studies, and world cultures. 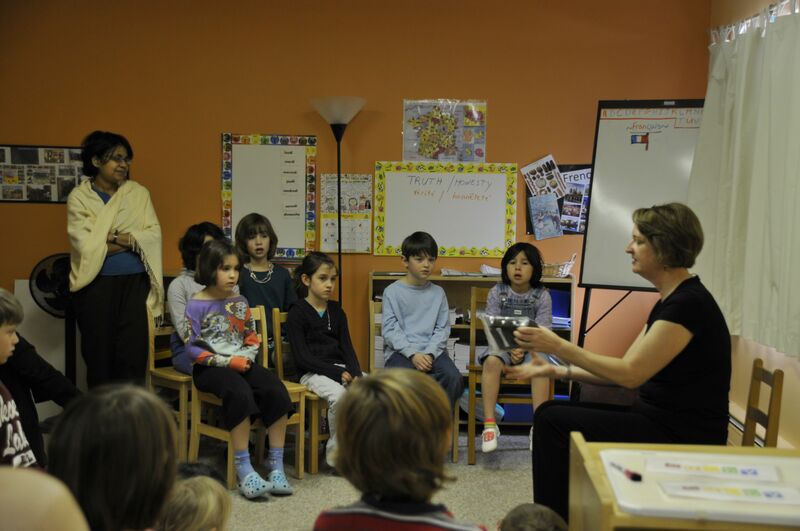 Over the years, I have tailored a number of classroom residencies to the needs and interests of both art and classroom teachers. I design projects in which students play a significant role in as much of the fabrication of the final project as possible, giving them ownership of the process, opportunities to engage in multiple learning modalities, and pride in the resulting final artwork. Projects can be designed using a variety of types of equipment. 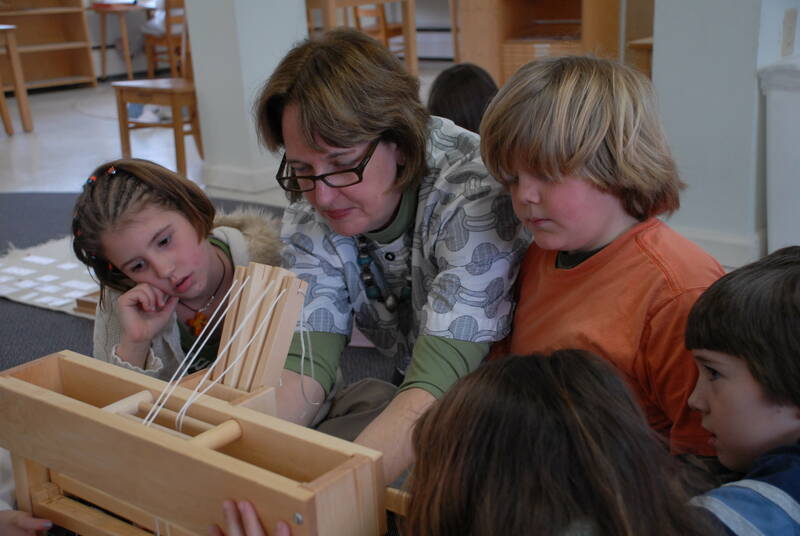 By second grade, most children are tall enough to weave on a standard floor loom. 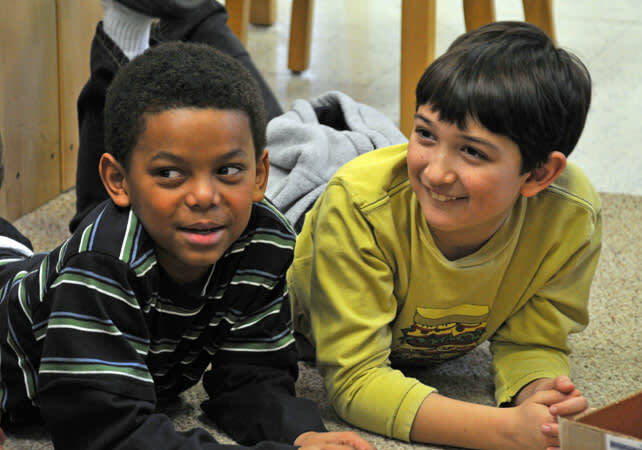 Programs can range from one session to larger projects lasting many months. 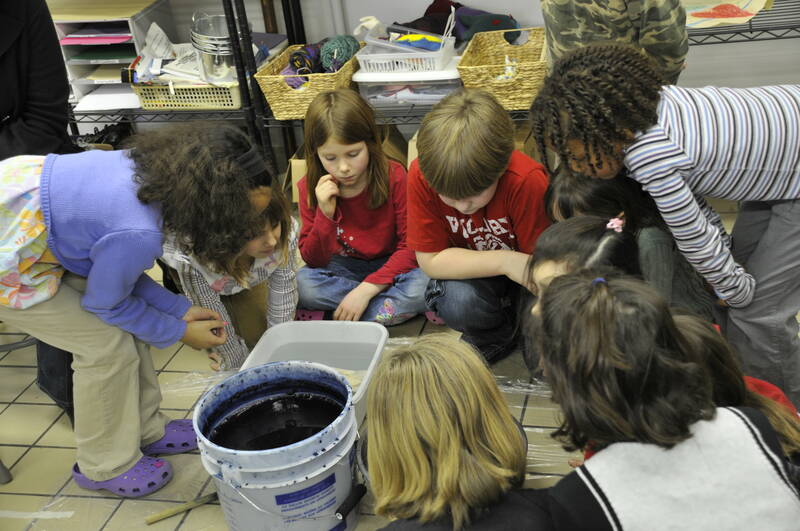 I consider my residencies with children in schools perhaps the most important and rewarding work that I do. 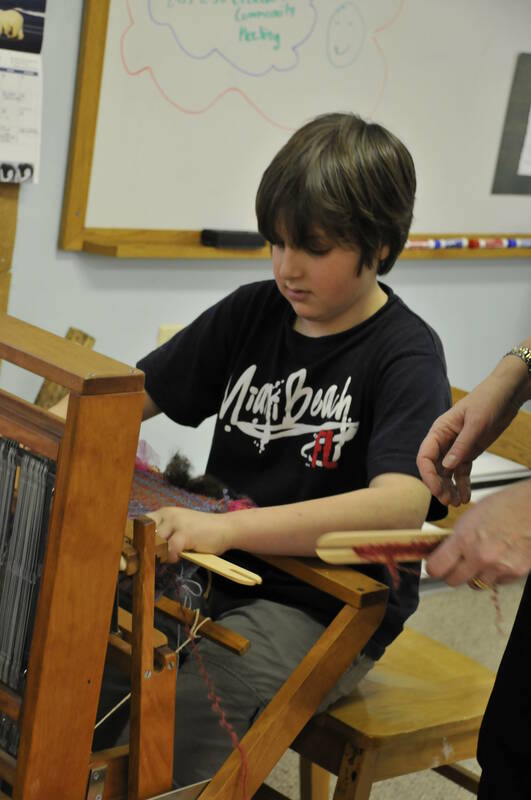 As a lover of weaving, it is extremely important to me to keep this ancient skill alive by passing along a knowledge and love of weaving to the next generation. 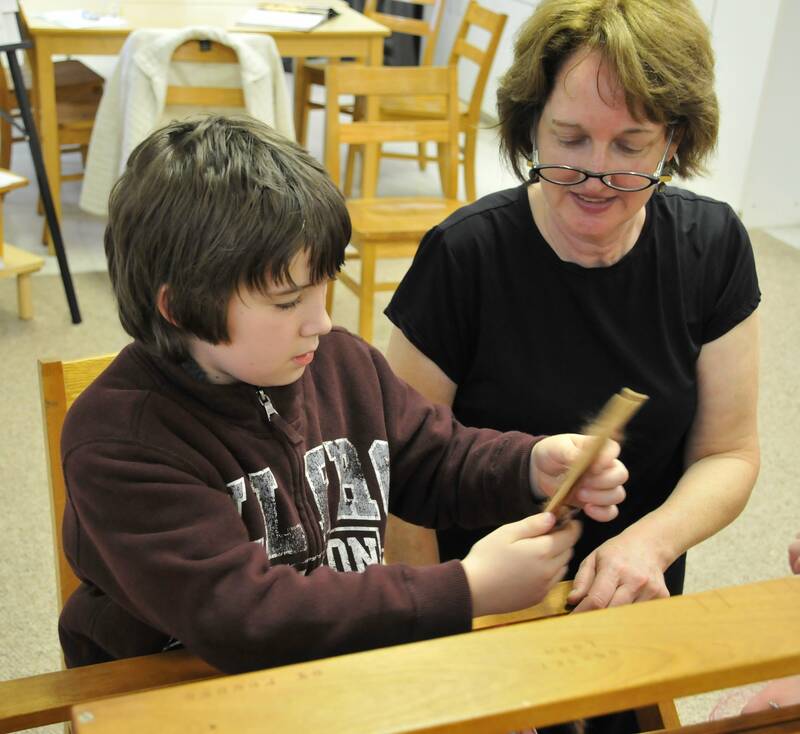 Visit the adult workshops page. 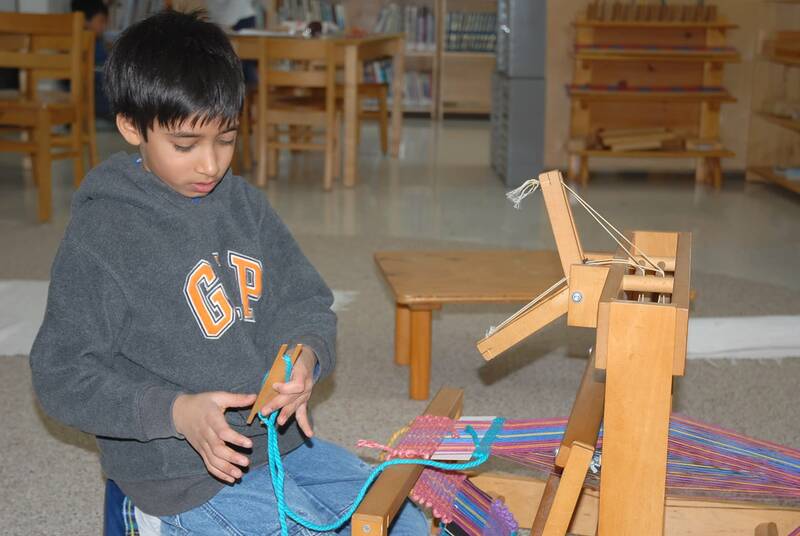 At Van Duyn Elementary School in Syracuse, NY, all 3rd graders (in their art class) learned about weaving in Navajo culture and then collaborated to weave a Navajo-style rug that is permanently installed in a public space in the school. 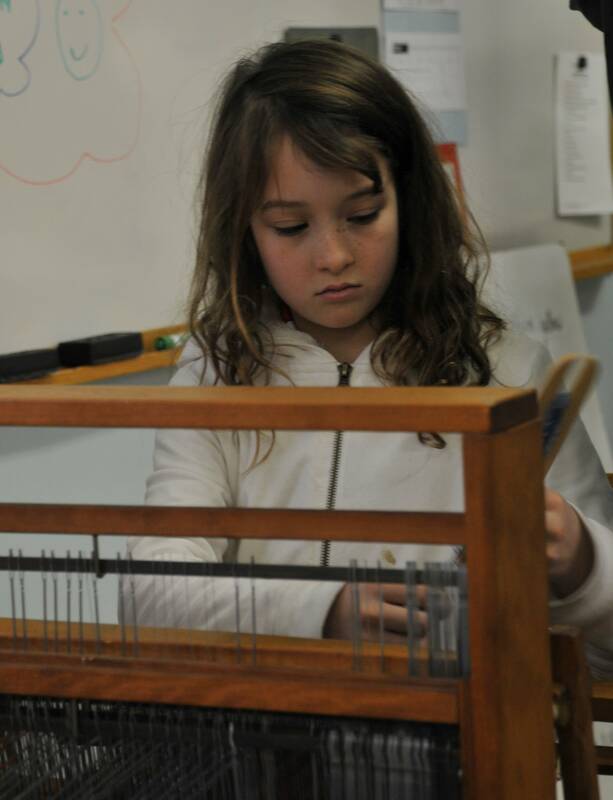 At the Montessori School of Syracuse, all 4th through 6th grade students explored the relationship between “text” and “textile”. They wove found objects that told stories about their own lives into cloth that became a long scroll installed in their classroom. 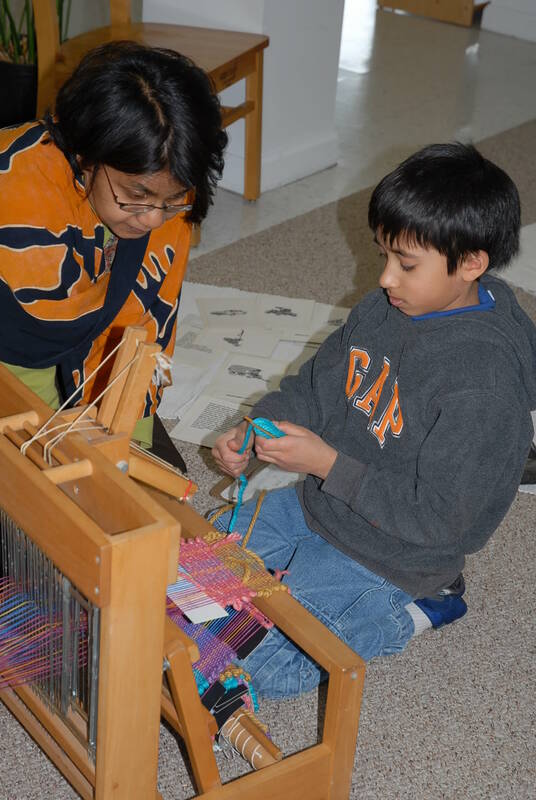 They also wrote essays about the beauty of weaving and its process and took a fieldtrip to the Art School at Syracuse University where they met weaving students and shared weaving experiences. 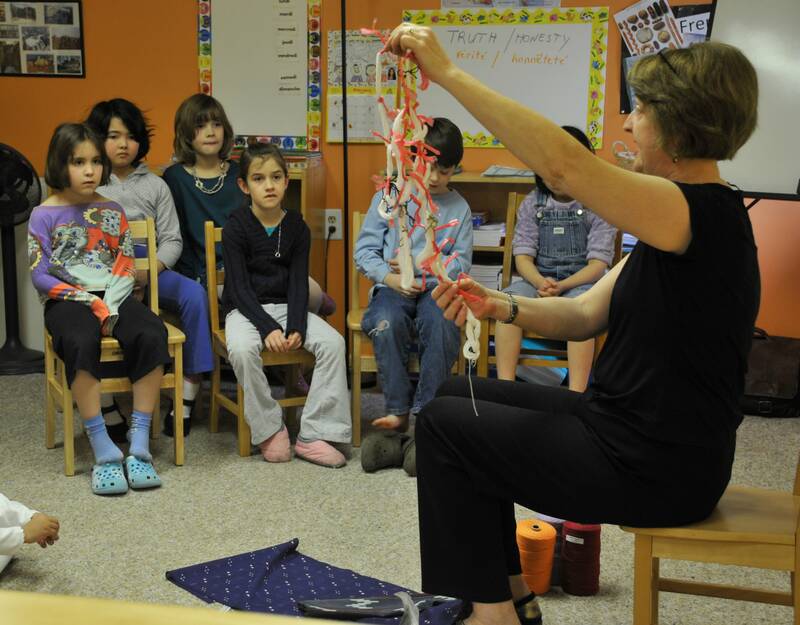 At Salem-Hyde Elementary School, Syracuse, NY, a blended classroom of 30 students (including some with severe learning disabilities) each wove their own colorful pouch. 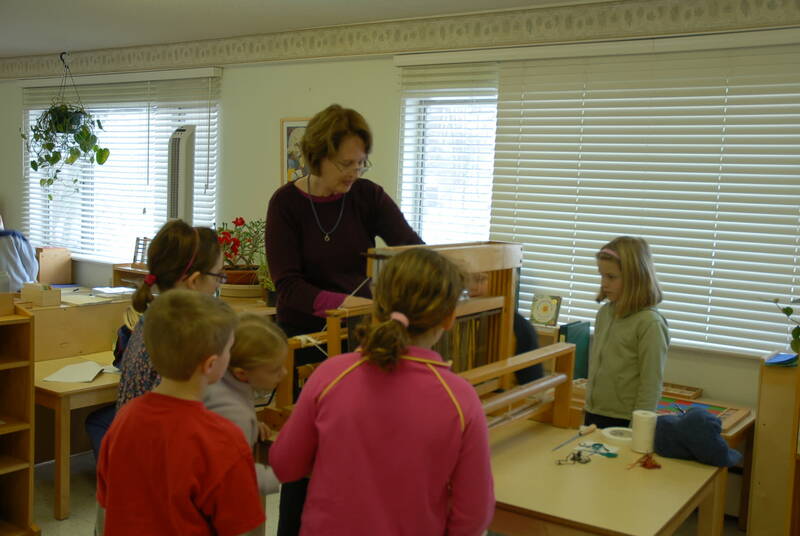 At the Montessori School of Syracuse, weaving was integrated into daily classroom life for all first through third graders. Each year a different continent is chosen for study across the curriculum, and I designed a weaving project built around it. Some of our finished projects included wallhangings based on Kente cloth (Ghana), a rug installed in the school public entry inspired by Navaho rug weaving (Native American) and indigo-dyed prayer flags (Nepal). 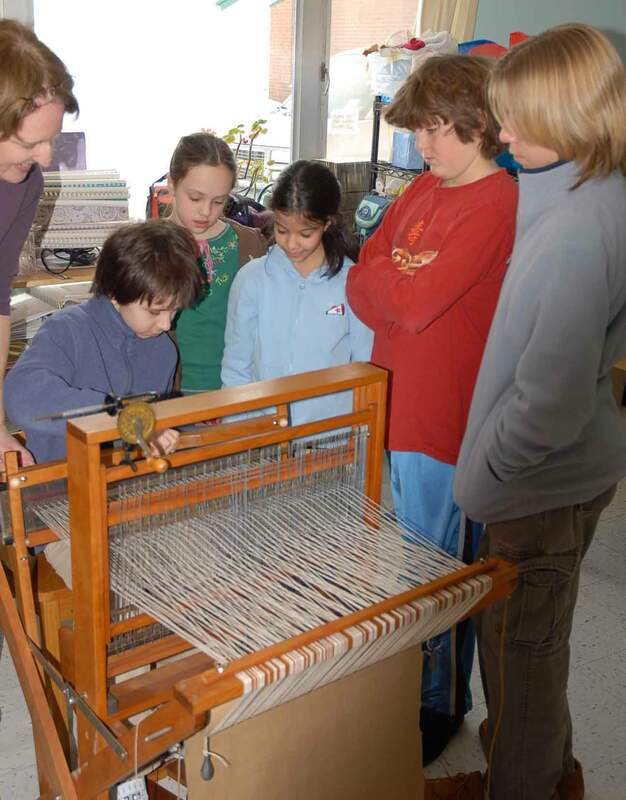 Special related events were designed to integrate weaving into the school’s annual Cultural Festival.